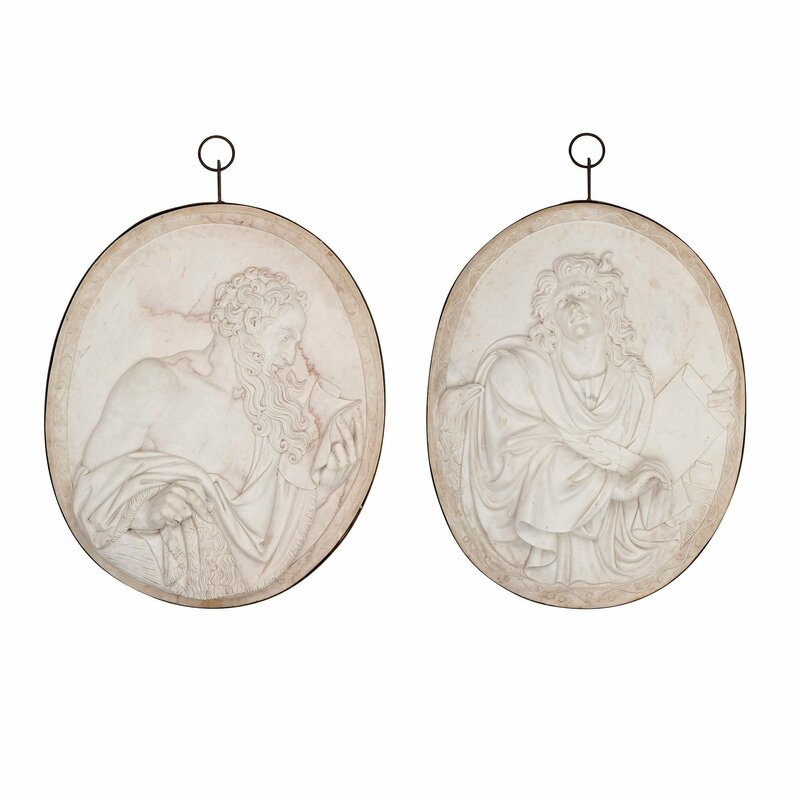 These large marble relief plaques are exceptionally fine pieces of sculpture, made after two famous Baroque plaques which now hang in the Louvre in Paris. Beautifully carved from the finest veined white marble, these exquisite relief plaques are large replicas of two important Baroque period pieces, now on display in the Louvre in Paris. 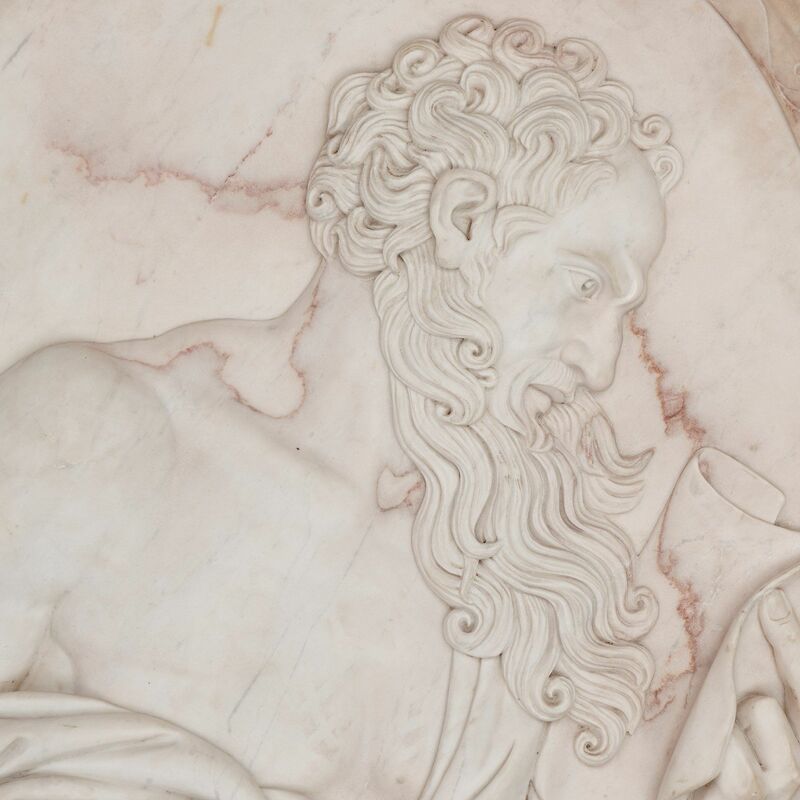 One plaque depicts St John the Evangelist, one of the four Apostles of the Bible, after a work by 17th Century sculptor Pierre Mazeline (1633-1708). 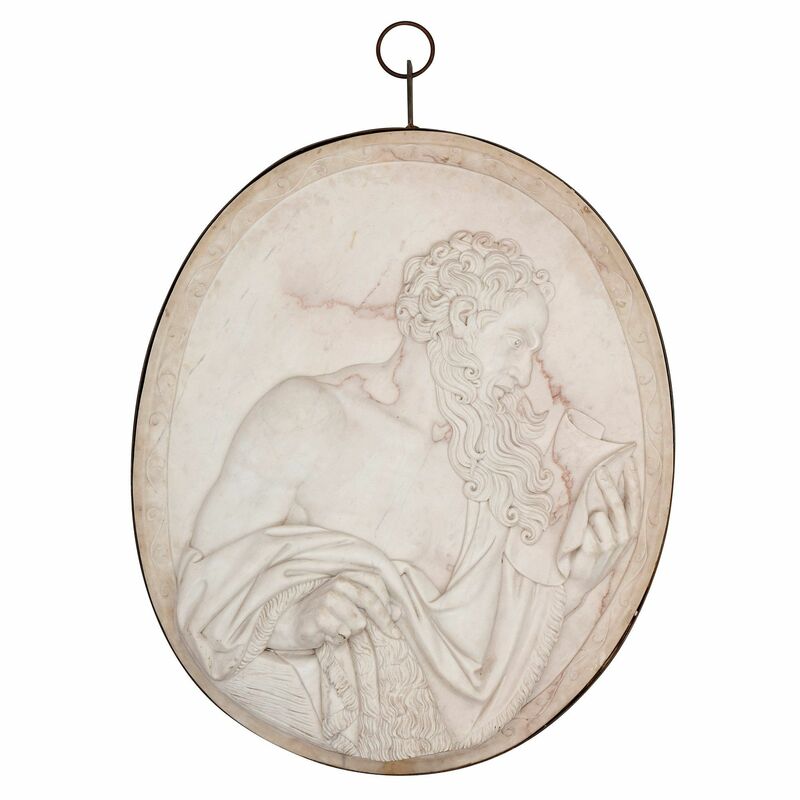 The plaque was his admission piece to the French Academie Royale de Peinture et Sculpture, where it was first presented in 1668 to wide acclaim. 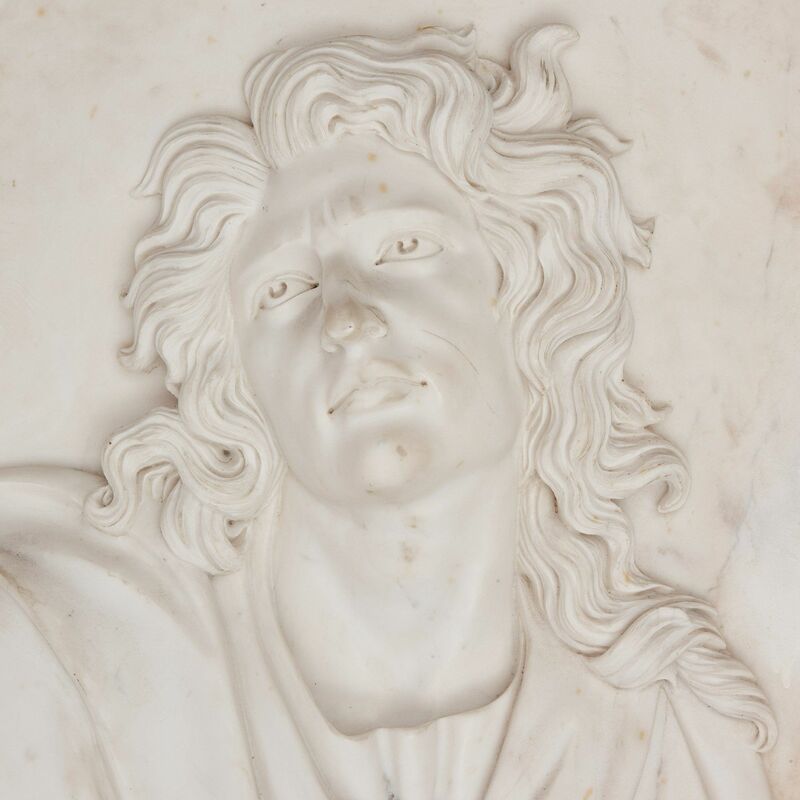 Mazeline then spent the majority of the rest of his career producing marble sculptures for the gardens at the Palace of Versailles. The plaque of St John shows a young male figure with long curling hair, shown holding a pen and a scroll, in reference to his letters in the Bible. 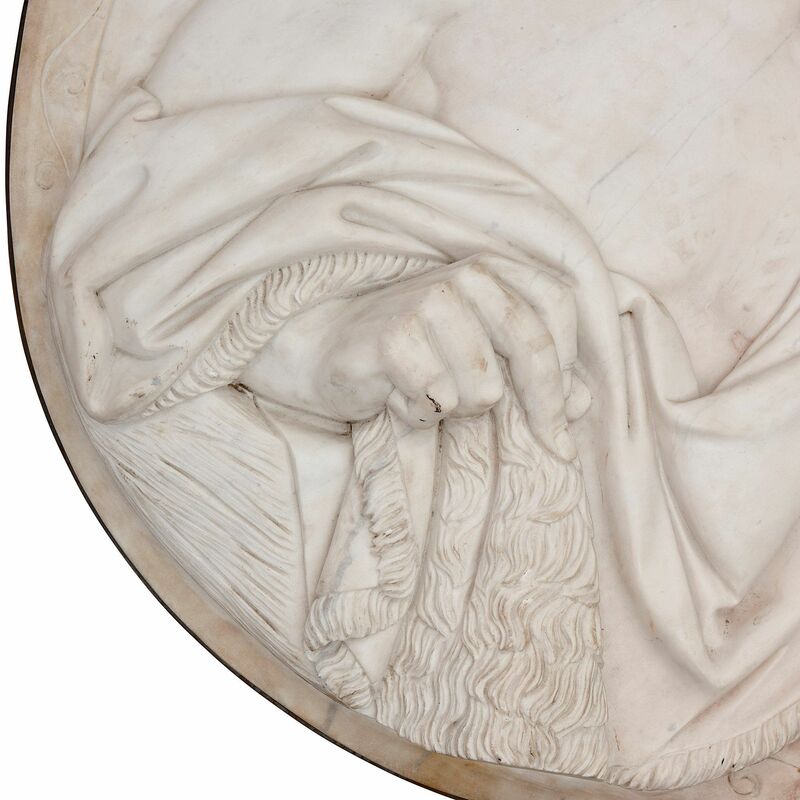 He is also shown with an eagle on his right hand side, which is a common way of depicting the saint in French art. 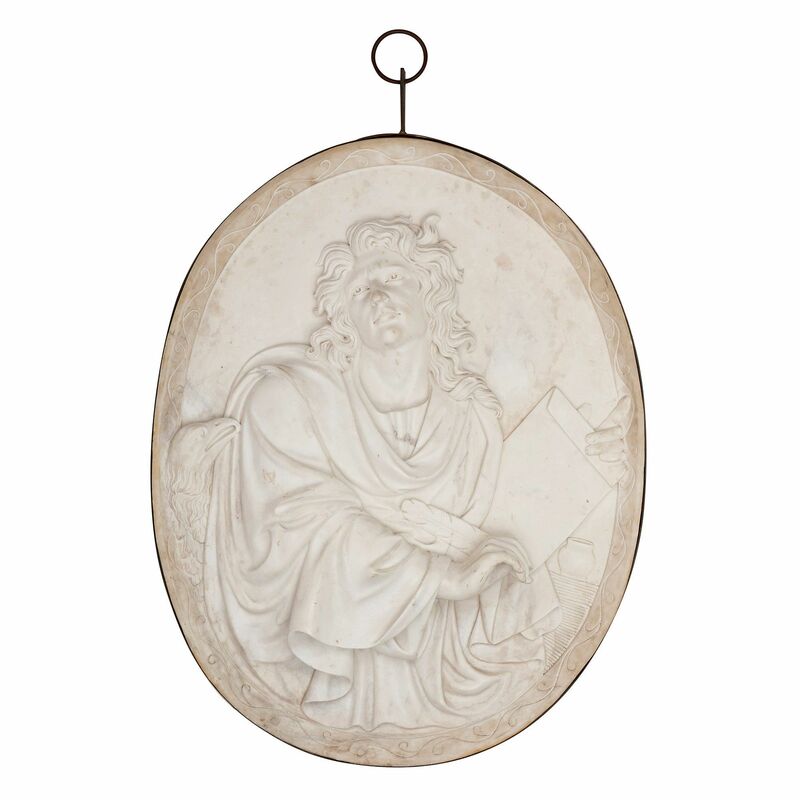 The second plaque takes after a work by Jean-Jacques Clerion (1637-1714), another sculptor of the French Baroque, and depicts St James the Less, cousin of Jesus and one of his twelve disciples. 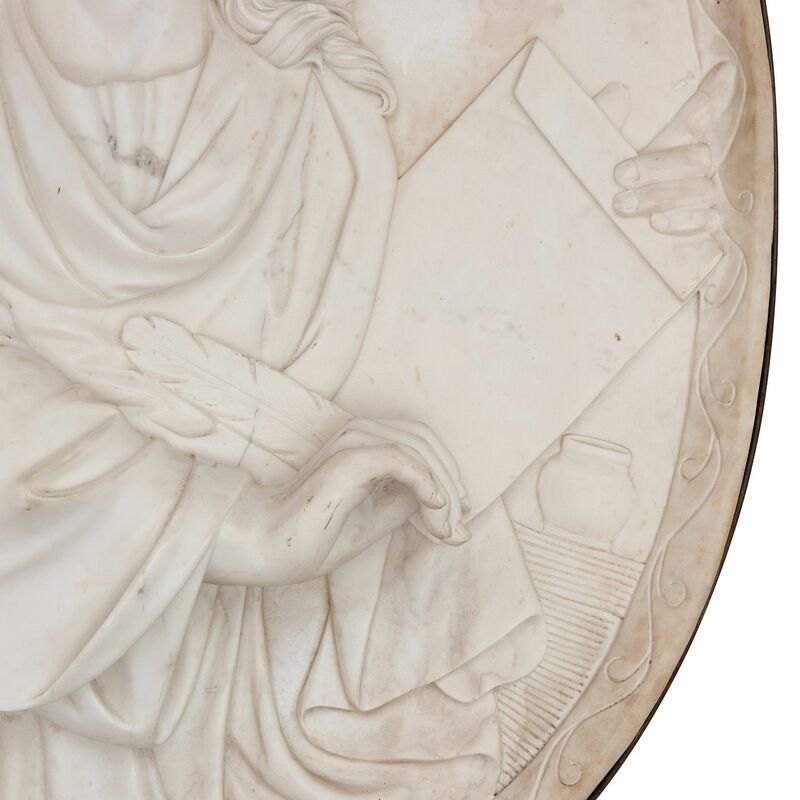 Again, the original plaque was Clerion's admission piece to the Academie Royale, in 1689. The saint is depicted here as an older bearded sage in profile, holding a parchment in his left hand and supporting his draped clothing with his right. Both the sense of depth in these plaques (achieved by careful separation of spatial planes), and the detailing (in both cases on the hair and the drapery), are truly exquisite, and attest to the fine skill of the craftsman who made them. It is unclear who the artist was or where the plaques were sculpted, but it is likely that they originate from either Italy or France.